Have you ever searched our catalog for a book you loved as a kid? Or, y our grandmother keeps asking about a song popular in the thirties. You can’t find it anywhere and you give up and walk away. Well, ask us at Reference about going one step further. Did you know that Davenport Public Library card holders can request books, dvds, and audiobooks from all over the U.S. – for free? If PrairieCat doesn’t have an item, we can broaden the net for you. Interlibrary Loan is a Library-to-Library transaction. You don’t have to get in your car and drive to Chicago or call the library or anything. Just sit back and relax and we will get it for you. What a deal. 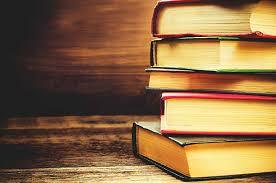 We can save you time and money and you can have hands-on access to that book that is special and valuable to you. 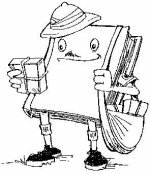 Whole magazines are usually not sent, but we can get articles photocopied and mailed to you (there may be a charge for this, depending on the lending library). Public libraries are all about cooperation and have set up a system (called OCLC or Online Computer Library Center) so we can see what other libraries own and request the item from mulitple libraries at once. The library that plucks it off their shelf first notifies the others and sends it on it’s way. You’ll soon be enjoying your treasured item that may have traveled hundreds of miles and passed through the hands of a dozen people to get to you.